With Andrew appointed as Global Ambassador for Beauty Works we were very excited to bring him over for his first ever UK press trip. 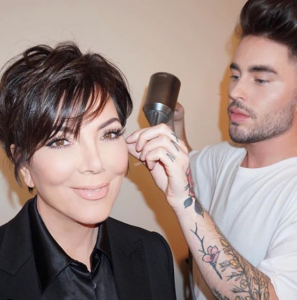 With a passion for all things hair, Andrew is one of the most sought after young Hollywood stylists to some of the most famous names in the world. On 18th September 2018 PUNK pulled together editors, writers from top tier titles such as Daily Mail Online, Glamour, Porter Mag, Heat, Fabulous & Notebook to name just a few to interview Andrew at The Charlotte Street Hotel in London about his Beauty Works collaboration.